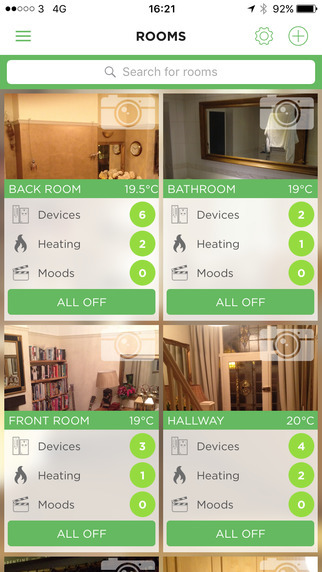 UK Smart Home specialists LightwaveRF are launching a new app along with their new website. The new app allows you to control multiple sites, not just your home. This could be used to control the heating in an elderly relative’s house in addition to your own, or perhaps a holiday home. LightwaveRF, the UK’s largest supplier of smart home systems, today unveils its latest iOS version app, bringing a new level of control and performance to users. The release of the iOS version, which is free to download, heralds a new generation of products from LightwaveRF as interest in smart home technology takes off in the UK. John Shermer, founder of LightwaveRF, said: “We’re confident smart home owners will love this new app, which delivers a completely new level of control. Working closely with users, we’ve developed a product that provides almost limitless scope for the number of devices that can be controlled from your smartphone or tablet. The personalisation feature, allowing you to upload images of different areas of your home and thus design the interface, is incredibly appealing and we’re sure will prove popular with users. The iOS version of the new app is available now with Android and web versions due to be released imminently. 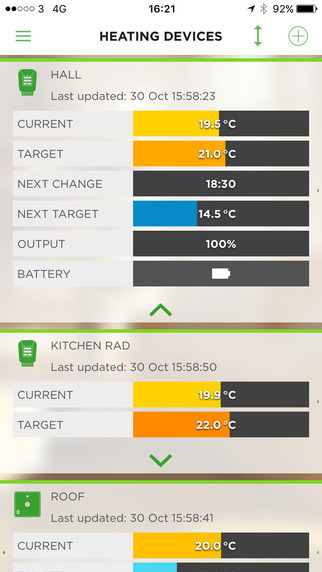 6 Comments on "New LightwaveRF Smart Home App Brings New Features Improved Performance"
Great update – shame it doesn’t actually work and has currently rendered my lighting system unusable…….. And not for the first time!! Why no Siri homekit integration? Stupendous achievement at entirely the wrong objective!!! What we really want is two way communication between devices, send and pray something works just is not good enough. Next we want secure mesh technology so we get some range between devices. Then finally go build a fancy app. Sorry, I been a big supporter of this early entrant but you’re losing out to Nest and Apple so best sell out to them soon. They have been talking about HomeKit for over a year now. Still no support, even though they have replaced their hub. Do we have to switch to another system to get it? In the mean time perhaps you could try setting up HAP-NodeJS server on a raspberry pi or Mac terminal. This gives you HomeKit intergration of LightwaveRF products and it works perfectly. Also Siri lets you know if the command has been executed or not. I’ve been using LightwaveRF devices in our home for a few years. We are starting some major renovation soon & want to completely fit our home but it has to be HomeKit enabled. If it’s not, we will go with something else. At the moment, it looks like we are going with something else. A shame because I do like LightwaveRF devices & the app.